Alan & Lyndsey Formby Hall Wedding from Dominic Morris on Vimeo. Formby Hall Wedding Video. Alan and Lyndsey enjoyed a real taste of summer on the day they got married with their reception at Formby Hall Golf Resort and Spa Merseyside. Their can be no better feeling than getting up on your wedding day and not worrying about the weather. 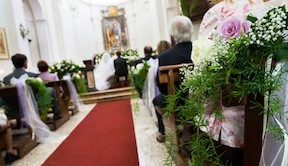 Jack & Abbie Mallorca Destination Wedding Day Video from Dominic Morris on Vimeo. William & Jennifer Ashfield House Wedding from Dominic Morris on Vimeo. On a beautiful spring day at Ashfield House in Lancashire we attended to capture the wedding of William & Jennifer. The highlights montage from their documentary wedding video showcases a fantastic colourful day. 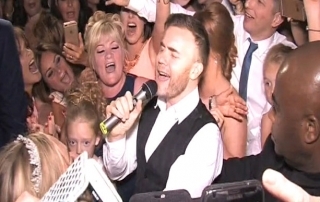 So its what all newly weds dream of, being surprised and serenaded by the one and only Mr Gary Barlow on their wedding day. The wedding video highlights from a beautiful spring wedding at the Racquet Club, Liverpool, Merseyside. The extended video highlights from Neil and Melanie’s wedding day held at the Isla Gladstone Conservatory, North Liverpool’s hidden gem.